Fishermen capture millions of sharks each year, cutting off their fins and then throwing the used bodies back into the sea. Shark fins are a highly prized ingredient used in the traditional Asian delicacy, shark fin soup. Bay Area animal rights activists and environmentalists recently petitioned for legislation to ban all shark fin products in California in an effort to raise the shark population and restore balance in the ecosystem. The San Francisco-based Aquarium of the Bay collected more than 3,600 individual letters that will be sent to the National Marine Fisheries Service in hopes of raising awareness for a ban on shark finning. 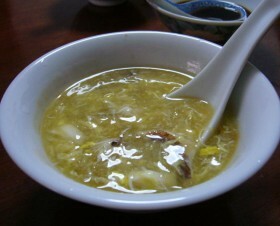 The tradition of the soup began centuries ago during the Ming dynasty in China as a delicacy fit for only emperors and noble members of society. The soup became a symbol of statues and families began serving it at banquets and weddings across Asia as a way of honoring special occasions. In the Chinatown district alone, there are more than 20 restaurants serving the soup for an average of $32 per serving. The soups are priced as high as $100 per serving at some high-end restaurants. “It’s a way of sharing expensive, rare items to tell others that they are special,” said SF State alumni Christopher Winn, an advocate for the protection of sharks from overfishing and a volunteer with Sea Steward, a non-profit shark conservation and documentary film organization. Making shark fin soup is a tradition that SF State student Kim Nyugen and her mother practice. The shark finning process results in more than 73 million shark deaths annually, according to Oceana, the largest international organization focused solely on ocean conservation. However, some cooks have found creative ways to take the ‘shark’ out of shark fin soup. Award-wining San Francisco chef Corey Lee, of Benu restaurant in San Francisco, has cooked up his own alternative for consumers who wish to enjoy the controversial dish. Lee serves faux shark fin soup to his customers in the belief that the flavor and nutrients actually come from the other ingredients that are used to prepare the soup. By definition, hydrocolloids are substances that mix gel and water together. Many hydrocolloids come from natural substances and have been used in various cultures around the world. Congress banned the practice of shark finning in U.S. waters in 2000. However, transporting shark fins by sea is not illegal, which allows fishermen to practice shark finning elsewhere and export the fins to the Bay Area. The Shark Conservation Act of 2009 planned to close these loopholes. The legislation passed the House of Representatives last year only to be blocked in the U.S Senate by Sen. John Rockefeller in a filibuster blocking all committee votes. Over the summer, Hawaii became the first state to pass a law that banned not only shark finning but also made it illegal to possess, sell or distribute shark fins in the state. If the SCA, also known as SB 850, had passed in the United States, the loophole that currently allowed the transporting of fins to the country would be illegal. However, many sharks are still protected by the Endangered Species Act of 1973. With the 111th Congress nearly out of session, activists are unsure of where SB 850 stands. However, that has not stopped them from localizing the issue by campaigning for local legislation in cities worldwide. Though many other species impact life under water, sharks affect the nature of the sea the most, swimming high on top of the food chain. Within the last two decades, the shark population has decreased by nearly 90 percent, according to Sea Steward’s website. Some consumers have no plans to quit consuming shark fin soup, however. Aside from the animal rights argument, some groups have also said that the dish may not, in fact, be safe for consumption. 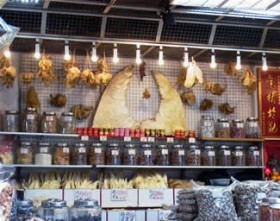 Studies conducted by WildAid, an organization with a mission to reduce consumer demand for endangered wildlife products and to encourage responsible energy consumption behavior, show that sharks have the highest levels of toxic mercury among other fish and that shark fins are a health hazard, especially for pregnant women. According to the U.S Food and Drug Administration, most sharks have more mercury intake than is considered safe for humans. Using digital media to raise awareness, WildAid started producing campaigns online featuring some of China’s biggest celebrities, such as Jackie Chan and Yao Ming, in an attempt to change society’s attitudes toward the soup. For some, these campaigns have swayed them away from the tradition.